Over the years DDD has developed and manufactured a range of very successful gamma camera systems marketed by major international corporations. 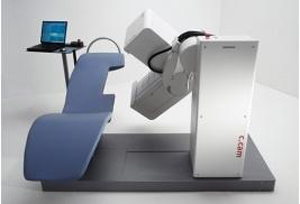 One example: DDD is a Siemens Healthcare Supply Chain partner for the c.cam imaging system. c.cam – with it’s award winning design – offers a whole new approach to nuclear cardiology. Reckned imaging position improves image quality. Easy to install, learn, and operate.